Home Activities Alerts USA – Lynne Stewart released! USA – Lynne Stewart released! According to reports from Democracy Now! 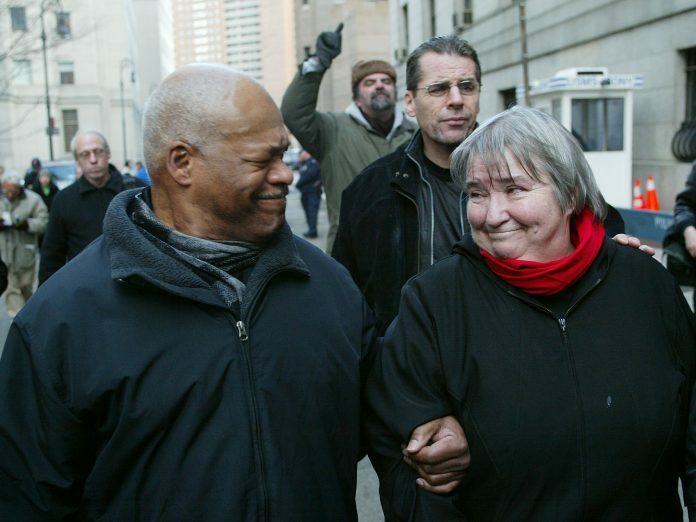 lawyer and activist Lynne Stewart was released from prison late Tuesday 31 December. The terminally ill lawyer was not scheduled for release until 2018, and had had previous petitions for release denied. Her release comes after the Bureau of Prisons sought her release on these terms. This is great news, and IHRC congratulates Lynne Stewart and her family, and all the campaigners who worked tirelessly for her release. For more information on her case visit the IHRC Free Lynne Stewart page. A message from Lynne, from 31 December after she he heard the news of her impending release follows. Well, the impossible takes a little longer !!!!!!!!!!!!!!!!!!!!!!! We learned this morning that the US Attorney’s office has made the motion for my compassionate release and that the Order was on Judge Koeltl’s desk. Since on the last go-round he stated in Court that he would treat it “favorably”, we are now just waiting expectantly. So If this reaches you before midnight tonight raise a glass of bubbly to the joy of all of us that the old girl is OUT ! !